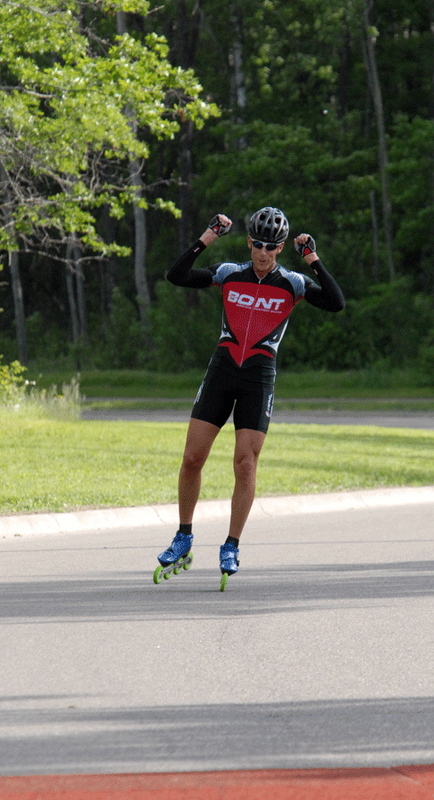 Big Win - Mike Anderson celebrates as he approaches the finish line, all alone, in the Baxter Inline Marathon. 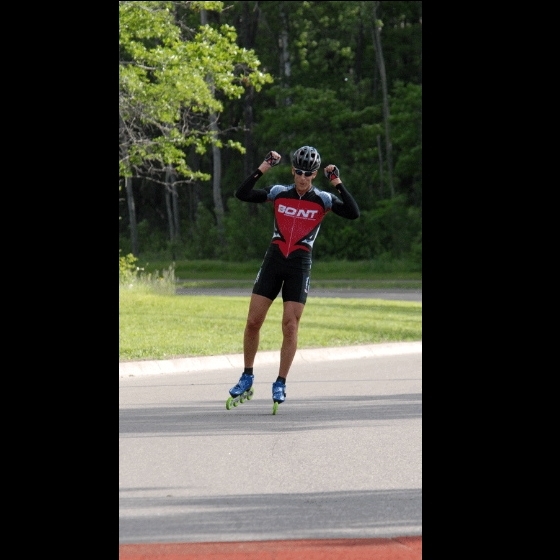 Anderson finished 1 minute and 22 seconds ahead of the next skater. His time was 1 hour, 13 minutes and 43.3 seconds.